Welcome to the Dive Shop Webpage! The Dive Shop has been able to maintain its excellence in training and providing the necessary services to the divers throughout Puerto Rico. 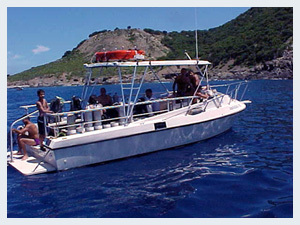 From our facilities we served both the recreational and the commercial diver. We offer over 15 different types of supervised programs, starting from “Open Water” all the way to “Assistant Instructor”. 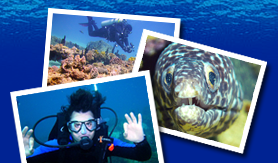 The Dive Shop offers a great diversity of recreational programs. These allow divers to continue practicing the sport and sharing with other divers of different ages and levels of training. We also include different and beautiful diving trips around Puerto Rico and the Caribbean.